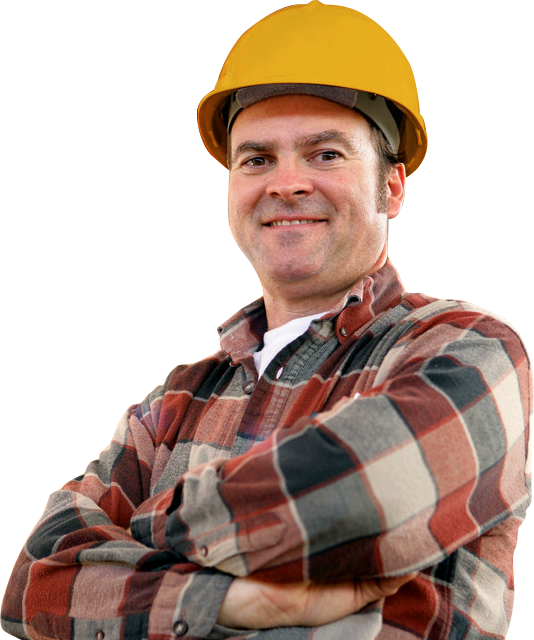 Best Price Best Service Guaranteed! 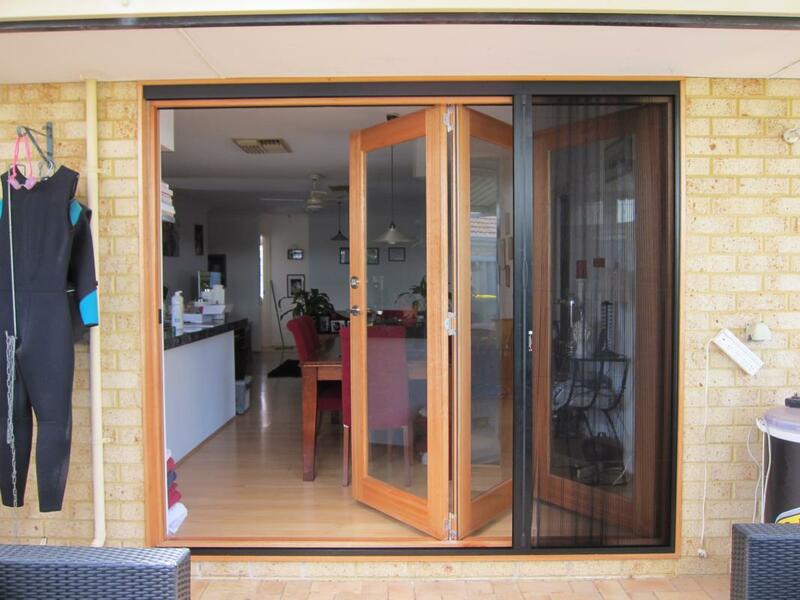 Looking For Bi Fold Doors Perth People? At BiFold Doors Perth we know that bifold doors sometimes need some tender loving care, that is why we offer a full service, service. If you have an old tired Timber Bifold door is hard to open or close, gets stuck or jams let one of our Bifold Door Doctors come and inspect and repair. At BiFold Doors Perth we can guarantee the most competitive pricing for our residential and commercial building customers. Having direct access to our own manufacturing facility means we can keep costs down whilst maintaining quality control. At BiFold Doors Perth we can also paint or stain your new Bi Fold Doors. We use only the best products such as Dulux and Solver paints so we can guarantee that our doors will last the test of time. 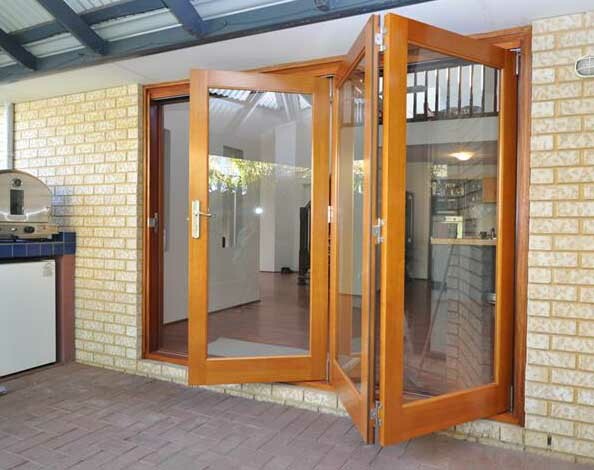 Treat your Bifold door to a proper finish treatment by Bi Fold Doors Perth dedicated painting team. We can supply and install new BiFold Doors to your Perth home to either existing door openings as direct replacements, or we can custom cut your opening to suit. Replace your old tired windows with modern Bifold Doors from Bifold Doors Perth today and add value to your home today. Need a Bifold Door? Let Bifold Doors Perth show what makes our doors different from the rest! How Does A Perth BiFold Door Work? Why Choose A Perth Bi Fold Door? In Perth Bi-folding doors are typically used in homes to open up the family room to include the outside decking or a paved outdoor area, Timber Bi Fold Doors Perth provide an elegant and space saving transition to the immediate external areas of your home whilst adding value. Perth Bi Fold Doors are Perfect for entertaining with family and friends and will open your home up making it seem much larger. Perth Bi Folds are designed to compliment your existing homes design requirements with elegant and functional variations of door layouts that can span widths up to 5.8 metre and bi fold windows widths of up to 4.8 metre. Our Bifold layouts can include internal only or internal and external opened door handles, with single sided opening doors installed to suit our customers specific requirements. As we design, measure and manufacture all of our doors we can guarantee the best quality and accuracy to product selection, whilst we do offer off the shelf solutions our free custom design service ensures you get exactly the right product to fit your home and budget. 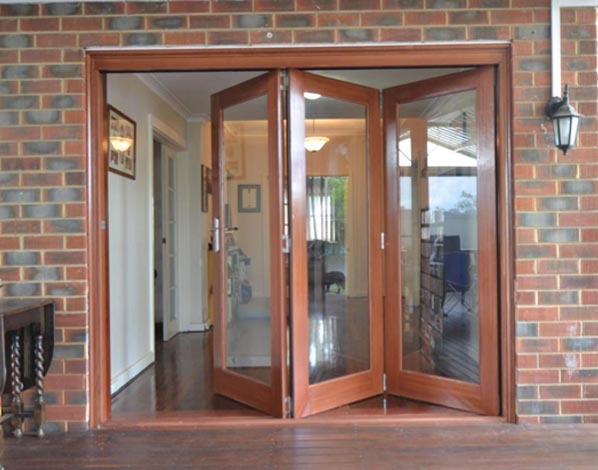 Bi-Fold Doors Perth are made from truly first class sustainable timbers which have an exceptionally high stability rating, this sustainable timber unequaled by any other timber used commercially in Australia ensures that you will receive many years of trouble free operation. Our Perth bi-fold doors offer unparalleled quality, as standard we include Dead lock door handles and built with 4mm thick toughened glass that comes standard. Our bi fold doors Perth can come with a large range of different glass colour and texture options including 4mm toughened, 6.38mm laminated safety glass, dark or frosted tinted, translucent opaque, double glazed with inert gas for thermal performance. Using only superior lifetime backed Centor Stainless Steel fittings Schleglel AQ21 weather seals provide the promising solution you desire for large opening to alfresco areas whilst keeping the droughts out. Your new timber bi-fold door can be finished in a variety of stains or can be painted to match your existing homes colour scheme. We recommend two coats of either at our factory before we install your new bi-folds, this ensures the doors remain stable as all end grain timber has been properly sealed. 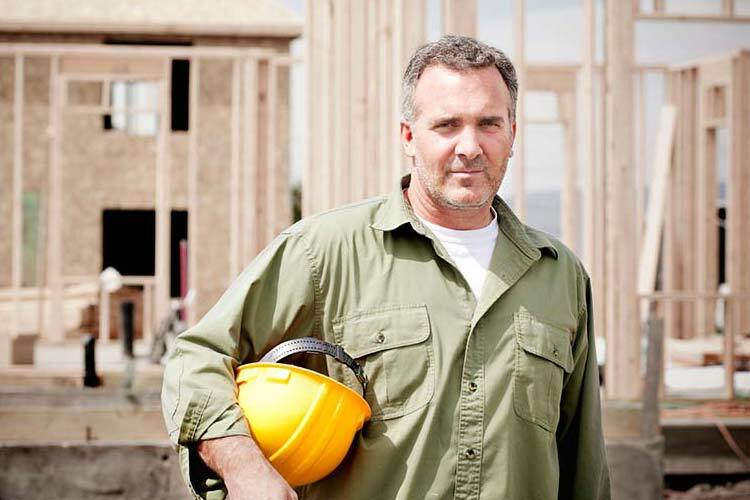 Our craftsmen will remove your existing doors and install your new bi folds so that you will have many years of enjoyable and problem free use. For people who want to open their bi-folds and screen out insects, we recommend the Centor P/L fly screen system, that retracts into the bifold door jamb instead of something tacked on as an afterthought. Our unique load balancing hing tech allows for effortless single finger control in opening or closing your new Timber Bi Fold Door. This also means you are likely to open and actually use your bifold doors more often no cumbersome latches or locks just a simple catch and handle to operate. Let BiFold Doors Perth provide you with a free measure and quote today.